Anyone who has followed Midge Ure’s career knows that he is one of founding fathers of the British synthpop movement of the early to mid ’80s, most notably as the singer of Ultravox. So the idea of him performing acoustic versions of those Ultravox songs with just a guitar in 2015 might seem unusual, since his body of work has been mostly driven by electronics and intricate arrangements that characterized the sleek production of the era. 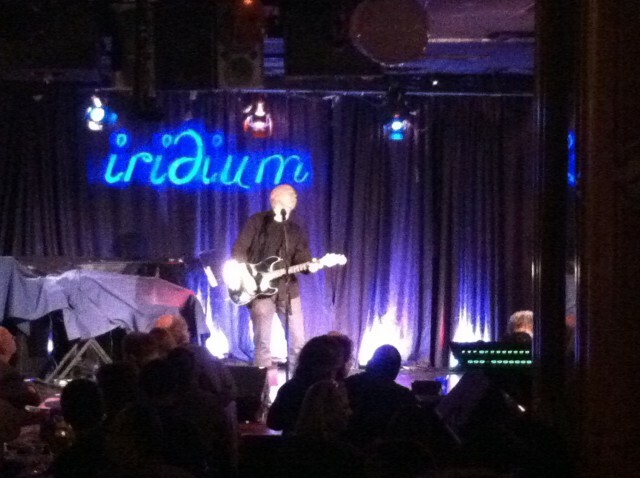 But any initial skepticism fell by the wayside when he played a solo set during a two-night stand at the famed Iridium in New York’s Times Square. Opening with “Dear God” from Ure’s solo period, the show was an almost two-hour ‘unplugged’ overview of the artist’s 35-year career from the New Romantic years to his most recent solo album Fragile. The way that the songs were reworked sort of lent a pleasant sense of surprise and rediscovery, allowing the lyrics to breathe on their own without the electronic trappings that we’re accustomed to hearing. This was especially during Ure’s passionate renditions of tracks like “I Survived” and “Let Me Go,” along with a couple of ballads such as “Man of the World” and “No Regrets” – all revealing poignancy and vulnerability. Towards the end of the set, Ure naturally saved the really best for last, with a couple of Ultravox and solo standards, including “Dancing With Tears in My Eyes,” “Reap the Wild Wind,” “Vienna,” (which drew a rousing applause) as well as his inspiring solo hit “If I Was”– before finally concluding the show with another classic Ultravox song, “The Voice.” Overall, the gig just proved that however you dress up or present the songs, it all boils down to whether they resonate with people on aesthetic and emotional level. 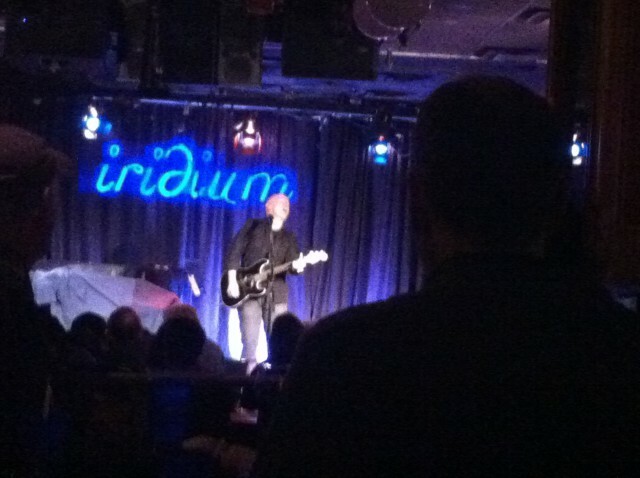 And in the case of Ure’s performance at the Iridium, they do. So true, about Midge Ure’s voice. Listening to him brought me back 20 something years when I first discovered him. He sounds the same & still sings with such emotional. He can still make my heart soar or bring tears to my eyes. A true artist with a wicked sense of humor it seems.